Paragon Design, 15 Oxford Lane, Ranelagh, Dublin 6. Why not outsource your Property design and advertising work to us? Whether you are an estate agency or a property developer looking for experienced property brochure designers or ads, we have over 25 years experience producing all types of property artwork to the highest of standards. On top of that, we can also develop your branding to highest corporate standards, build websites, produce high quality Computer Generated illustrations (CGI) or water colour renderings. Draw out marker scamps and ideas for campaign concepts. 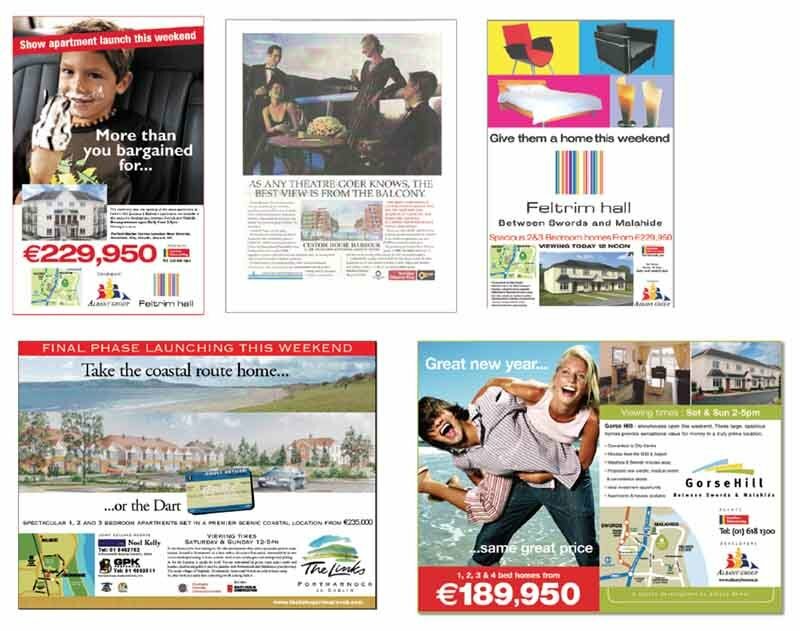 Develop property campaigns into press ready artwork. Copywriting by an experienced ICAD award winning copywriter. Art direct and oversee photo shoots. Write Radio and TV ads and oversee production for broadcast. 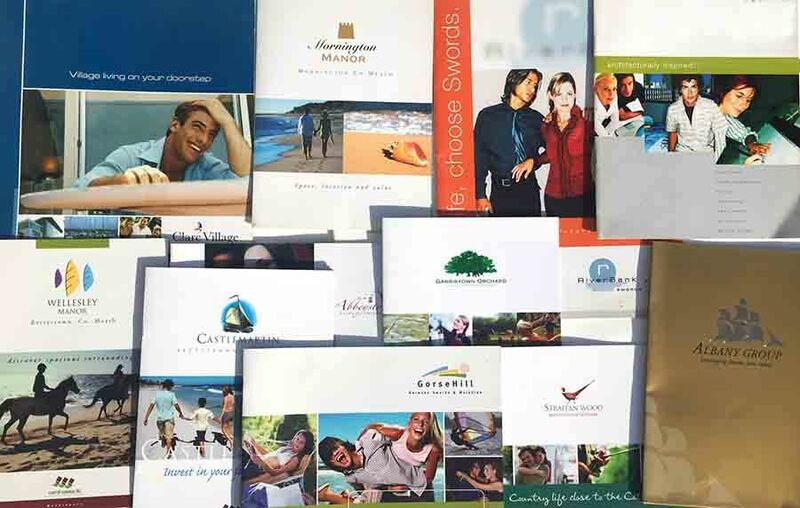 Design direct mail Facebook and e-zine campaigns. Design campaigns for web and online messaging and build the web graphics, revolving banners and e-zine campaigns. Produce high quality CGI illustrations or water colour renderings of exterior facades of your developments.